Welcome back to the fifth season of the podcast. We are in an economy that has a four percent unemployment rate, and now many people are looking and leaping to new work opportunities. 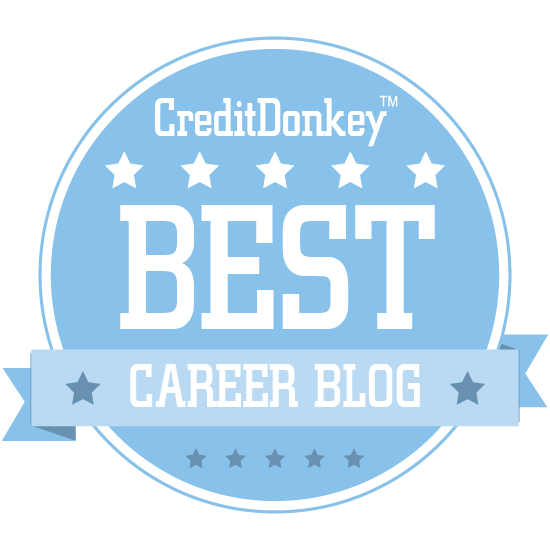 Are you looking for what you consider the best “fit” or are you taking the first job offer you get? 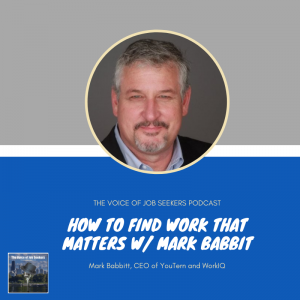 Mark Babbit, CEO of YouTern and President of WorkIQ says you have an opportunity to find work you care about. Mark has been on the podcast four times over the five years. He is constantly working on making the workplace a better environment for everyone. He has been featured in Forbes and The Wall Steet Journal. We’re learning now After years of taking the first job that came along how important it is to feel fulfilled from our work and to feel like our work matters. Culture has become important, happiness is becoming more important when they’re being compensated well. Shouldn’t companies hire for three to five years from now – hire for the culture you want in the future. Have conversations with the manager before you sign on (78% leave the company because of their manager). 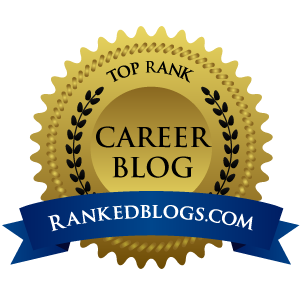 Research the job seeker does go way beyond the about page. Is there an alignment of company values? Verify what the company says about themselves by asking the interviewer, “What is it really like here? 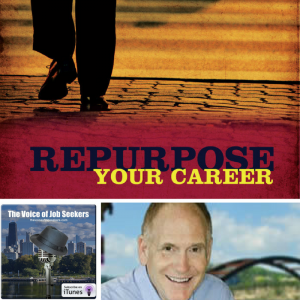 What is keeping you here?” Look for radical candor from the interviewer. If you don’t get real answers, perhaps it’s not the right fit for you. Don’t ever assume you won’t find the right fit. 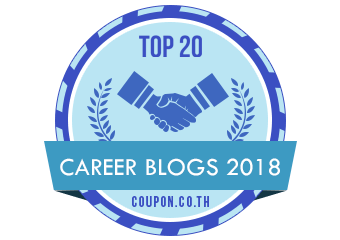 You can also sign up for my weekly newsletter at the top right of my page in order to be on the early list of my free e-Guide, “219 Modern Job Search Tips for 2019” to be sent to subscribers the third week of October! Editor’s note: Beth Leslie is the editor of the Inspiring Interns blog. Her bio is at the end of this article. In the West, women have won the right to enter the workforce en masse. They have won the right to work in industries once assumed to be the exclusive domain of men. They have won the right to set up businesses, manage conglomerates, and govern countries. These examples from The Everyday Sexism Project illustrate the battle against workplace sexism is very much still ongoing. It is the job of all feminists – male and female – to eliminate it. The problem is that speaking out against “harmless banter” can mark you out as a killjoy or a bad team player, so people stay schtum to avoid risking their professional reputation. Confronting sexism while remaining irreproachable is possible. Sexist comments – remarks which implicitly or explicitly demean women – are often explained away by perpetrators as “banter” or “throwaway remarks,” but help entrench offensive and damaging attitudes towards women in the workplace. 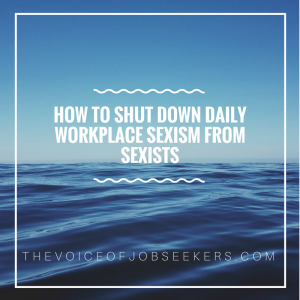 How you deal with sexist comments depends on your relationship with the offending party, you’re standing in your organization and your confrontation level. As an absolute minimum, you should refrain from positively engaging with the comment. Do not laugh at sexist jokes, or just carry on the conversation with no rebuttal. Both of these things signal that you find sexist comments inoffensive, and encourage their continuation. Instead, look quizzical, and ask the perpetrator to repeat themselves. Keep your voice neutral – often, simply having to repeat their sexist statement will shock people into realizing how inappropriate it is. The same effect can be gained by calmly asking them why they said that or why that joke was funny. With an unabashed perpetrator, you can point out the problematic connotations of their remark. Again, maintaining a calm demeanor is key: it makes you look reasonable and encourages them to engage with you, rather than dismissing your objections as over-sensitive. If you have influence, pull them aside and discuss the inappropriateness of their remark. If not, ask their manager to do the same. Handle comments like any other performance issue: something they need to work on, but which they will not be harangued about if they show improvement. Workplace sexual harassment happens when an employee or employer directs frequent, unwelcome sexualized behavior towards one or more of their co-workers. It is one of the most serious types of workplace sexism, and it is also depressingly common: half of UK women have experienced it. However, workplace sexual harassment is illegal in both the United States and Britain, which means businesses have a strong incentive to stop it. Consequently, if you experience or witness sexual harassment, you should go straight to HR. Make sure you document everything! Write down your recollections of events, to ensure they have the evidence they need to investigate. When HR is unresponsive, escalate the situation externally. Lawyers, trade unions, employee support groups and employment tribunals are all suitable places to turn. With sexual harassment, the law protects you from repercussions from your employer. Optics are important, which means female staff should avoid doing anything that will reinforce existing biases. Senior female employees shouldn’t volunteer for gendered tasks. Deliver frequent requests from peers to perform gendered tasks with polite but firm excuses. If you can’t duck out of the responsibility – say your boss or a client asks you – ask a peer of the opposite gender to help you with it. The perpetrator may not even realize the implicit sexism of what they’re doing. Giving them a chance to backtrack gracefully prevents them from going on the defensive. Women are more likely than ever to hold senior roles, yet being mistaken for a secretary or assistant is still a common experience. Luckily, it’s easy to confront a sexist assumption that a woman is less qualified or senior than she is: simply correct the mistaken party. As always, the tone is important here: you shouldn’t be aggressive, but you should be firm. Laughing or forgiving the mistake suggests it’s not egregious. The person who made the assumption will undoubtedly be embarrassed, but by refusing to brush off the mistake, you’ll reduce the likelihood of them doing it again. Men who are assigned clients who refuse to work with qualified female employees can also do their part. If asked, pretend that you’re not sure and you need to check with your better-qualified female colleague. You’ll combat the client’s prejudices without being rude to them – and show your female counterparts that you value their contribution. 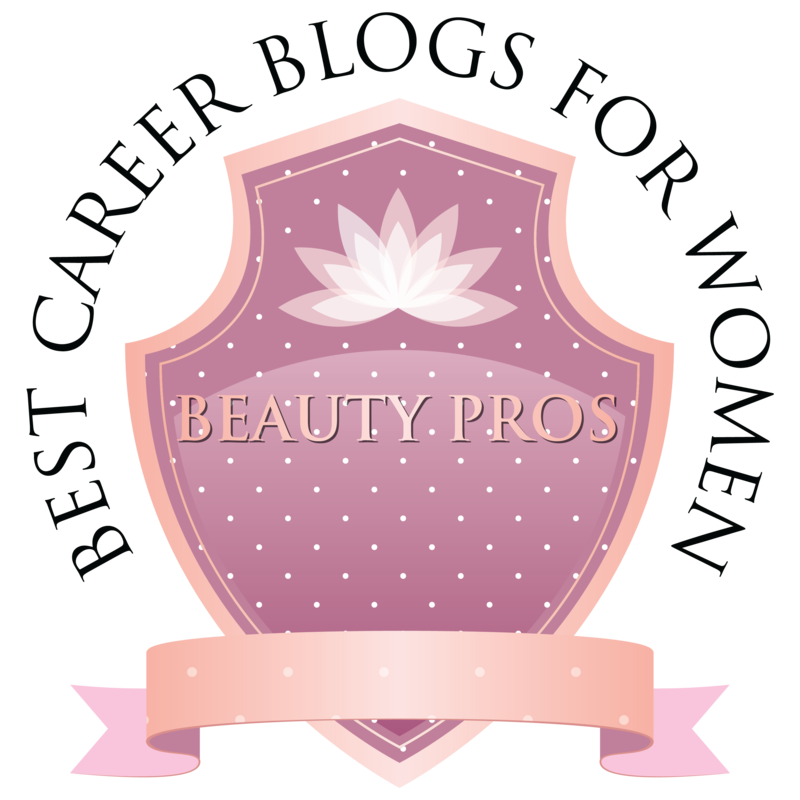 Beth Leslie is a career and lifestyle writer. 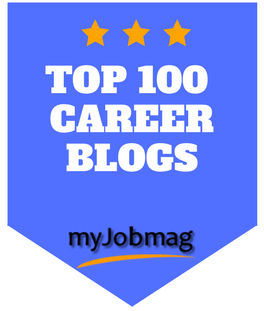 She is also the editor of the Inspiring Interns blog, which provides graduate careers advice to young people looking to excel in the workplace. Inspiring Interns is a recruitment agency which specializes in matching candidates to their dream graduate job. How Does Unconscious Bias Affect Older Job Seekers at Work or the Job Search? I also discuss how to deal with ageism. Satchel Paige pitched in the major leagues when he was near 60. George Blanda played football near 50. Don’t accept the perceptions of hiring managers. I will not publish a podcast next week (for the week of July 4) and no shows between July 19-Sept 11. I will post articles throughout the summer at least twice a week. Love to hear from you about your challenges and how I can help.